Yesterday was a big day. Stampin’ Up! gave there demonstrators a digital look at the up coming Occasions and Sale-A-Bration catalogs. All I can say is … I’m in love all over again!!! The up coming catalog is AMAZING!!! My friend Brian had a nice little seek peek a few weeks ago. While at Founder’s Circle he got a bag of goodies from the upcoming Occasions Catalog. Is that not the cutest paper ever. And the watercolor look is so right now!!! Be sure to check out all of Brian’s post about Founder’s Circle. Looks like I need to attend more Stampin’ Up! events!!!!! So now, back to fall. I am still working on Share Handmade Kindness. It is taking me a while to complete some of the projects I wanted to do for this month. One of witch was to send cards to members of the Military that I personally know or know through friends. This has been so rewarding. I have a deer friend who’s husband is a member of the Coast Guard. They have always been so faithful to our Country. I have always admired how they were so willing to go where the job leads them. Among about a million other reasons that tie into the Coast Guard. One of the things I wanted was to Shower this family with cards of “Thanks”. So many friends have sent cards. If you would like to join Me in thanking The Moulder Family for all there years of dedication to our Country. You can! The other part of what I have been doing is asking everyone I know. Do you know someone in the Military (currently or retired) that could use a thank you card. Either to the person or their family. So it is only appropriate that I ask you. If you know someone that is in the Military and you would like for me to send them a card thanking them for there service. Please, email me at [email protected] I really feel that we should take more time to be thankful that there are people who are willing to defend our country! This brings me to my card for today. I made this card as a part of Share Handmade Kindness (still working on last weeks challenge) I wanted to create a card that expressed my thought but, not necessarily patriotic. I wanted something more fall and manly. I decided on Thankful Forest Friends. Though, now that I think about it. Manly may not be the best word for the adorable little forest friends…. Some stamp sets I just do not pull out enough. This fall that set has been Tankful Forest Friends. The Bear is just the most adorable little bear. And the fox is a cutie pie as well. And don’t get me started on the preciousness of the bunny. I also, really love the statements with the fall accents. There is just so much to love about this stamp set. This card is a square 4 1/4 by 4 1/2 card. The colors used are Rich Razzleberry, Cajun Craze, and Early Espresso. The wood background is part to the Designer Series Paper Into The Woods. This card is perfect for making multiple cards. (I normally don’t do this…) Because it is quick and easy to put together. Just some simple stamping and cutting. Don’t forget that all the Holiday Retiring Products are as supply’s last. So be sure to pick yours up today! This is the day we have all been wating for!!! The Stampin’ Up! Holiday Catalog is offically here!!!!!! Whooo Hooo!!! I just love everything about this catalog. It is jam packed full of wonderful products! To make today a little extra special The Christmas Card Class took a little survey about the Holiday Catalog. I am going to use there results to feature a few products from the Holiday Catalog. Thank You to everyone who came the to August Christmas Card Class. You guys rock!!! You kept at it even when I compleatly overwhelmed you! Thank You for sticking with me Saturday and making the day great. Because yall are so Awesome, at the end of the post there is a special announcement just for you!!! I asked the class four different questions about the Holiday Catalog. What is your favorite stamp set from the Holiday Catalog. Let’s start with the favorite stamp set for Christmas! One person did vote for If The Broom Fit’s Stamp Set…Just because they liked the stamp!!!! The Second Question was “What was your Favorite Fall Stamp Set from the Holiday Catalog. The third question was “what is your favorite Bundle from the Holiday Catalog” We have a tie all around on this one!!!! The top answer for this question is actually NOT in the Holiday Catalog. But, It is a great product. The Grid Paper (Over all the ribbons, adhesives, punches, buttons, and Designer Series Paper) I will say, if you don’t own the grid paper it is a must! Best work paper ever!!!! As you can see. There is so much to love about the new Holiday Catlaog. There is defantly something for everyone! Now, on with today’s card. 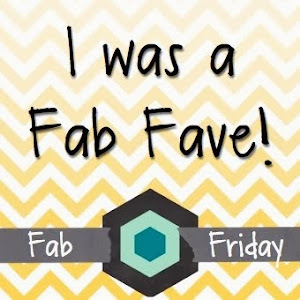 I am playing along with the Fab Friday Challenge! This talented group of artiest have cooked up a extra special color challenge. I’m just crazy for how the cute little fox turned out!!! The Squares are 2 1/4 inches, 2 inches, and 1 3/4 inches. Now don’t forget to decorate your envelopes. It’s the most fun part is to make the package as pretty a the card inside!!! I stamped a second fox to make a sticker as the envelope seal!!! Be sure to Check out the all new Weekly Deals!!! Now for the big announcement! I am so happy that my classes have begun to grow. Because of this growth I am now able to offer a Host Code for each class. Basically how it works is. All items ordered during a class will be ordered using a Host Code to earn Stampin’ Rewards if the class total is over %150. During the class as part of the “door prizes” one person will be selected to receive the Stampin’ Rewards. I know you have questions but, more information will be provided soon. I excited that we are Growing and that this growth will benefit you!!! Thanks for stopping by Westside Paper Creations!!! Have a great Tuesday :> And hop on over to Fab Friday to check out all the Fab. Creations by the Design Team and people just playing along!! !